Whether it is for spring break or prom, more teens are getting involved with indoor and outdoor tanning. No matter the reason, it is important to teach teens the smart way to tan to decrease their risk of sunburn and skin damage. Our tanning salon is equipped and our staff is trained to assist teens in making smart tanning choices. Sunburn prevention is the first step of smart tanning for teens. When the skin is burnt, especially on a young person, it can cause serious damage later in life. According to a recent study, approximately 83 percent of teenagers who develop a tan in a salon and properly use sunscreen are less likely to get sunburn than those who do not. While burning is harsh on the skin, the gradual tanning of the skin is a natural process that involves the production of melatonin and an increase of pigmentation. Essentially, a tan is the body’s way of protecting itself against sunburn, building up over time. 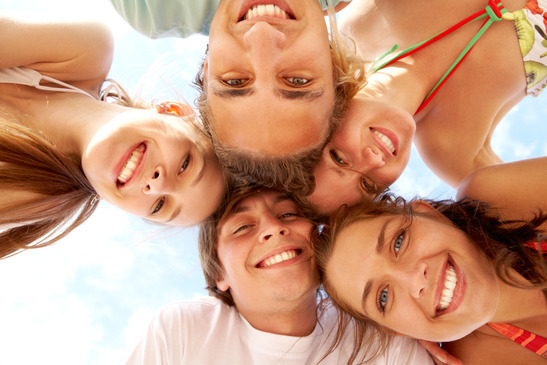 Studies show teens who build up an indoor tan will be well prepared against an outdoor burn. Never burn your skin. Burning the skin can cause limited to severe damage to young skin and must be prevented at all costs. Use the right tools. Smart tanning should involve the proper equipment, including sunscreen and goggles. Being well acquainted with these products should become habitual so they are effective. Take your time. This process is gradual. Teens should take it slow when it comes to developing an indoor tan so that the body can naturally build up a barrier against sunburn. For more information on Smart Tanning, visit your local Smart Tan certified salon or visit the website SmartTan.com. Tropical Tan is the only Smart Tan certified tanning salon in Joplin. As a Smart Tan Member, we adhere to the highest industry standards to ensure the best indoor tanning experience possible. Our team is fully trained in UV light administration, properly teaches sunburn prevention indoor and out, insists our clients wear FDA approved protective eyewear and hold tight to the highest sanitation standards.